On 12-16-17 at about 1:25 AM, the Gallatin County Sheriff’s Office received a call advising she and her boyfriend had been hiking up Garnet Mountain and were very cold and now unsure of where to go. They had left at about 5pm to hike to the Forest Service Cabin. They were planning to stay the night there and ski out the next morning. When they could not locate the cabin, they decided to try to head back down to their vehicle. However, due to it being dark & snowing they became unsure of where to go. This is when they decided to stop and make the call for help. 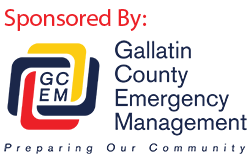 With a Gallatin County Deputy acting as incident coordinator, Gallatin County Search and Rescue was activated. Searchers responded to the area and searched on foot. At about 5:00 AM the two individuals were located. After assisting in warming them up, the Searchers assisted the two back to the trailhead to their vehicle. Sheriff Gootkin would like to, again, reemphasize the importance of being prepared when going out into the backcountry. The two individuals in this case were fortunate to have cell service and well charged phone batteries to call.